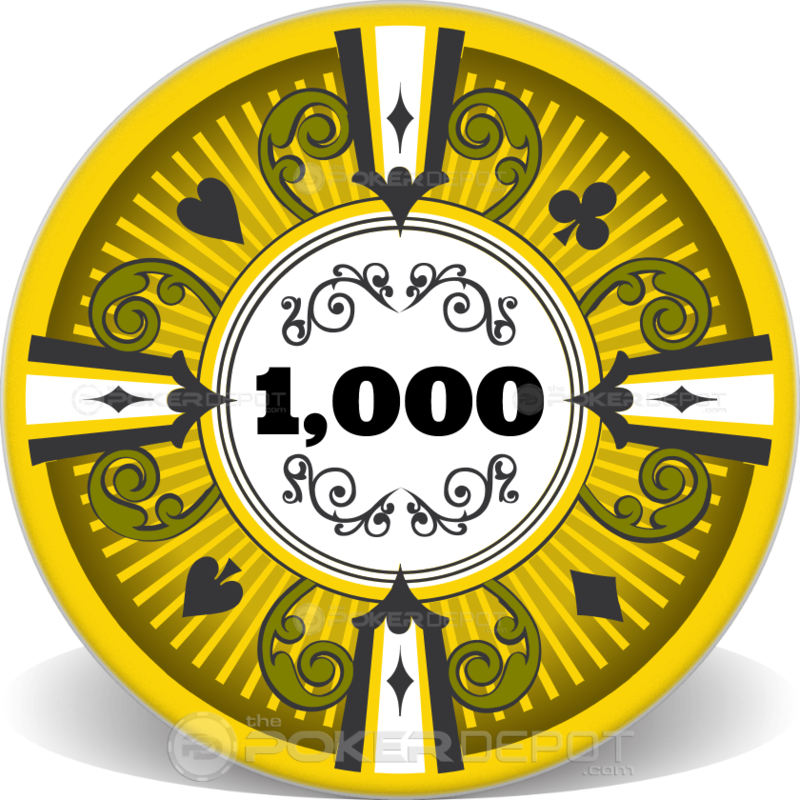 Design a customer casino poker chip online! Upload your custom logos, photos or graphics. Select "Customize More" to personalize your chip colors, denomination and more. Not a poker chip designer? No problem - select a professional design package below. Colors may differentiate slightly from the screen to the final printed product. Average production time is 2 business weeks. 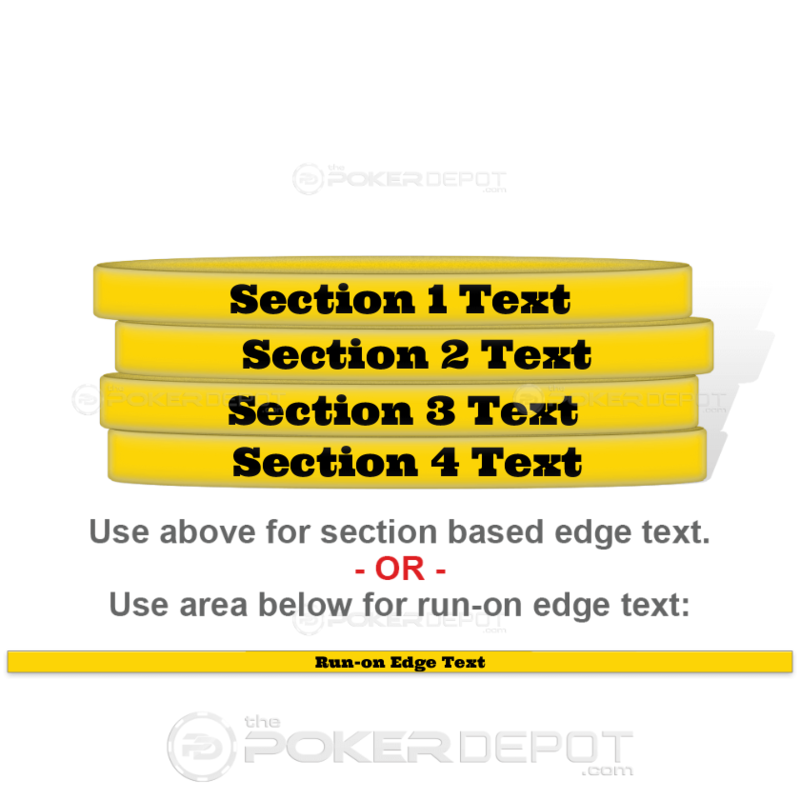 Please check our FAQ or Contact Us for any questions you may have about designing your own custom ceramic poker chips for tournament style games, cash games or personal poker chip sets.